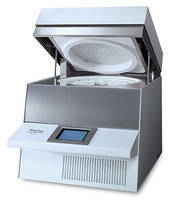 Cone and Plate Viscometers enhance real time graphing of samples. Ensuring accuracy and repeatability using motor speed control, Cone and Plate Viscometers come with high stability temperature controlled plate on which samples are tested. 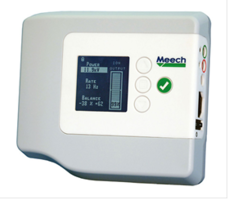 Monitoring of changes during measurement of samples, units come with preheat function. 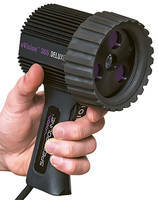 Offering extended warranty, viscometers send date and time stamped results output to printer. Viscosity measurement of coatings is essential at each stage of the manufacturing process to ensure consistent quality standards. Many parameters can affect the rheological behavior of a finished coating resulting in undesirable effects such as inconsistent performance, poor levelling or sagging. The use of high precision measuring instruments is therefore essential in quality control to prevent such problems occurring during formulation, manufacture and application. This viscometer is specifically designed to provide stringent testing conditions to allow the measurement of these materials as the viscosity changes according to the shear stress that is applied. Precise Measurement - High stability motor speed control ensures accuracy and repeatability during each test. Real-time high resolution graphing allows monitoring of changes during measurement providing identification of inconsistencies between samples. Advanced Temperature Monitoring - The viscometer utilizes an integrated high stability temperature controlled plate onto which the samples are applied to test. A preheat function allows rapid stabilization of sample temperature which is accurately controlled throughout the measurement process. 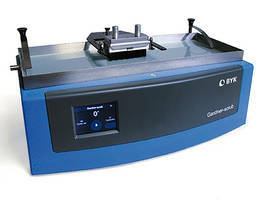 Viscometer has centipoise read-out capability. KU-3 Viscometer comes with KU-1030 Krebs spindle. Smart Viscosity Sensor comes packaged as threaded bolt.